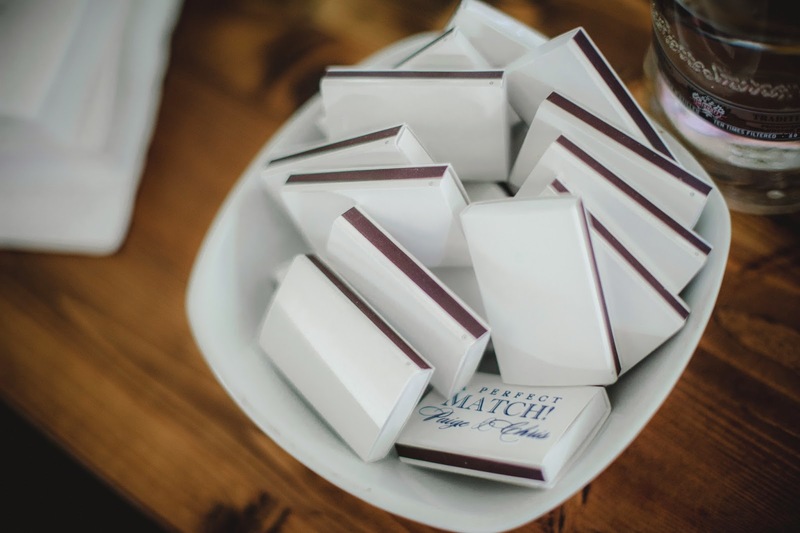 It's true what they say that everything is sweeter in the South...the people, the tea, and most definitely sweet, Southern weddings! 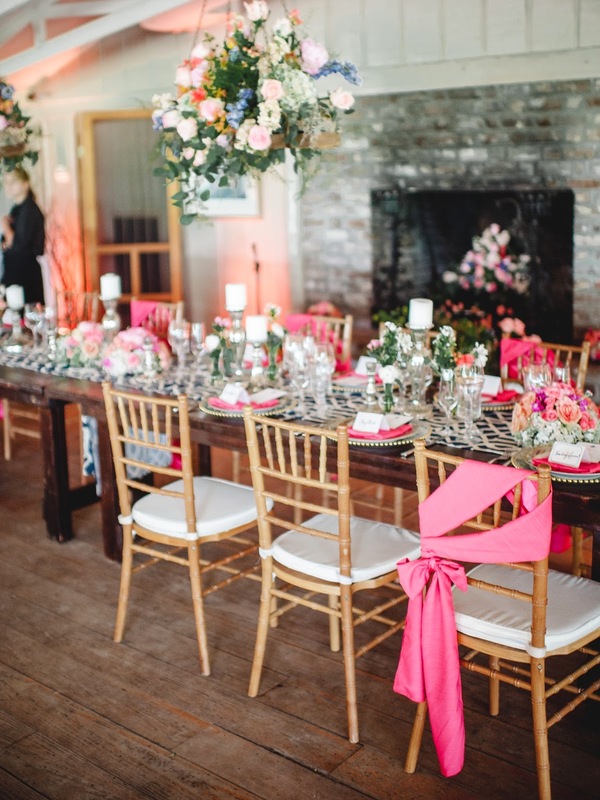 Both N&L hail from below the Mason-Dixon line, so we pretty much consider ourselves experts on all things Southern. 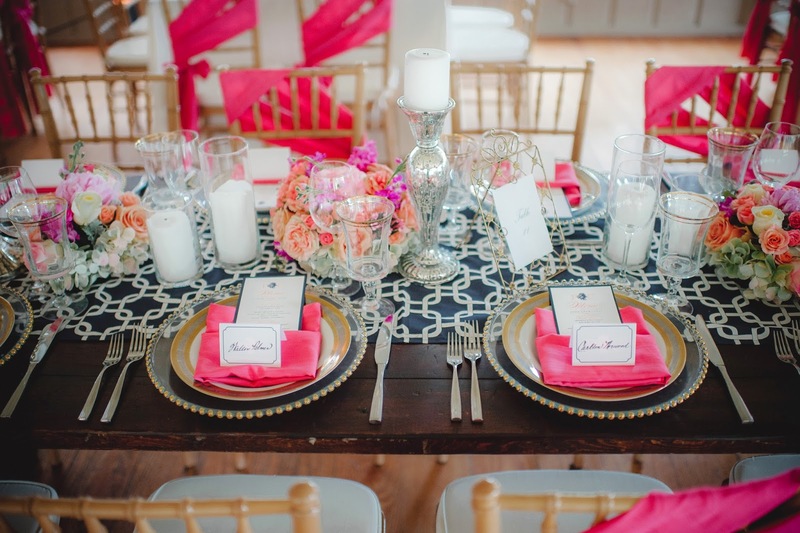 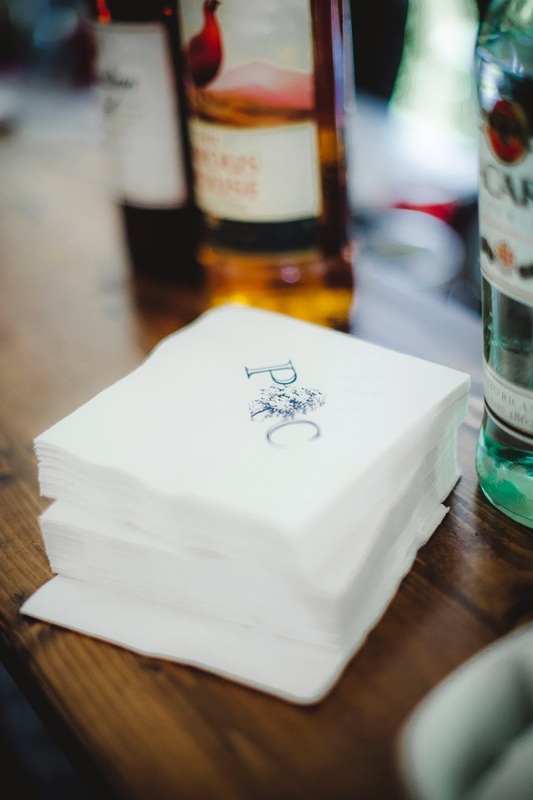 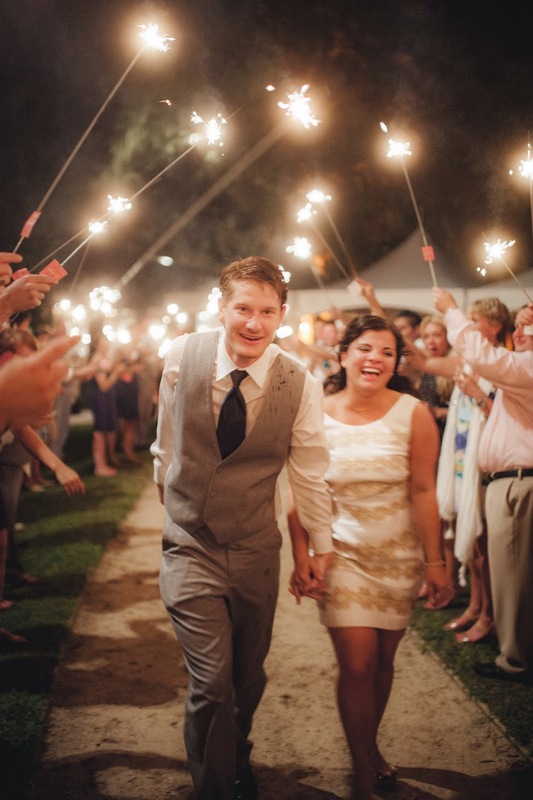 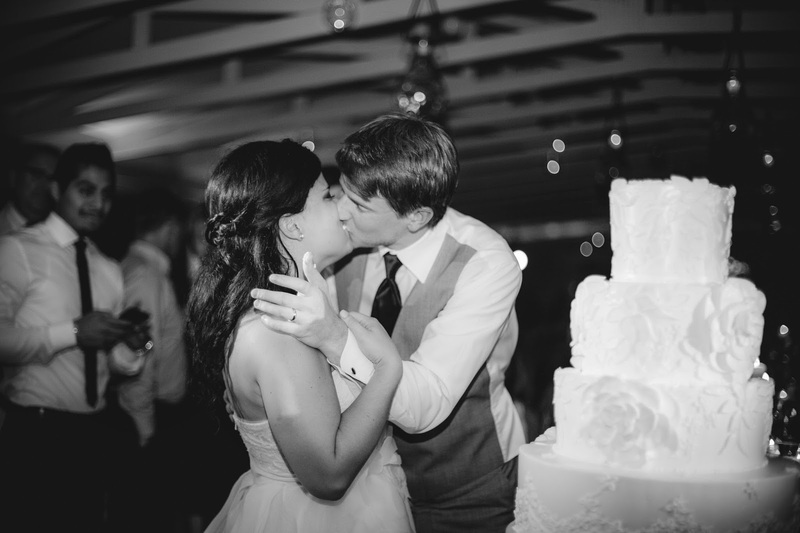 Paige and Chris' wedding might just be the sweetest soiree we were part of in 2013! 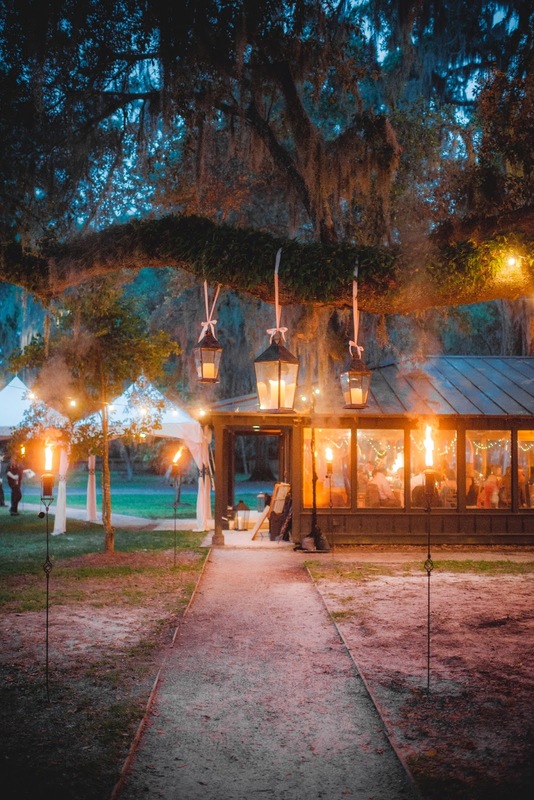 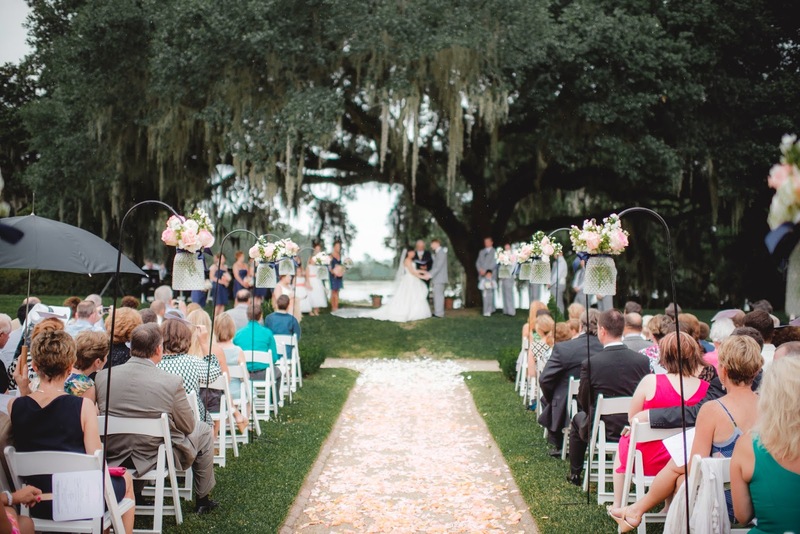 It was a classic southern wedding--complete with the pair tying the knot under oak trees dripping with Spanish moss. 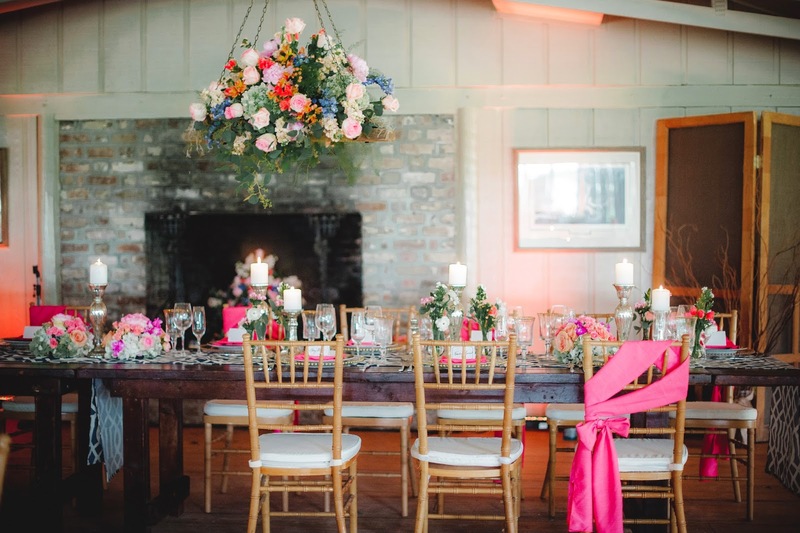 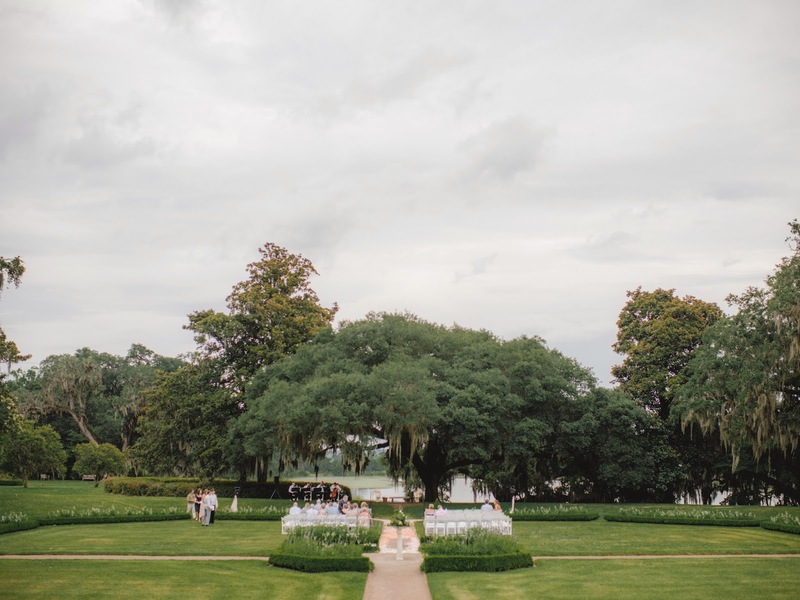 Surrounded by their closest friends and family, Paige and Chris turned this Charleston plantation into a celebration of love with coral and navy accents, lush flowers, and some seriously swanky N&L swag! 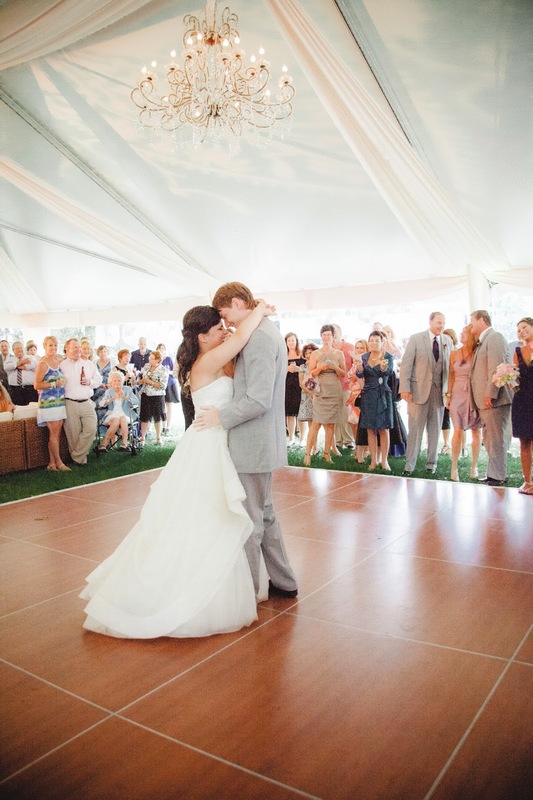 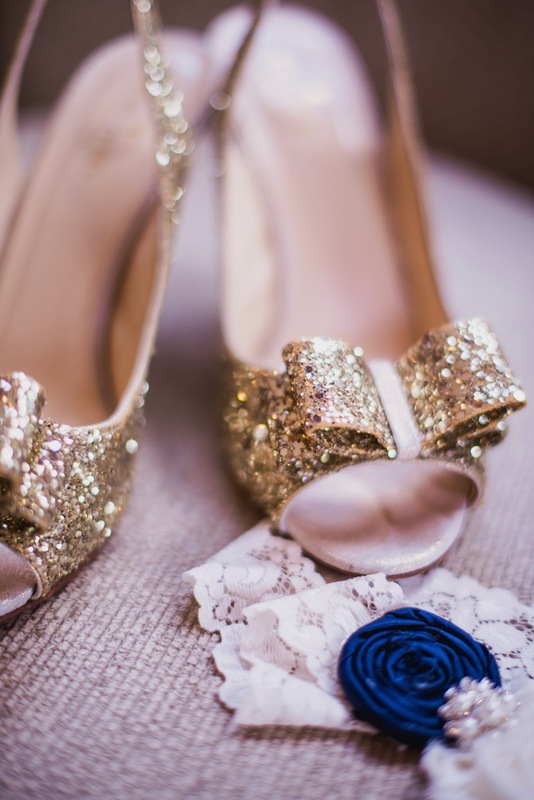 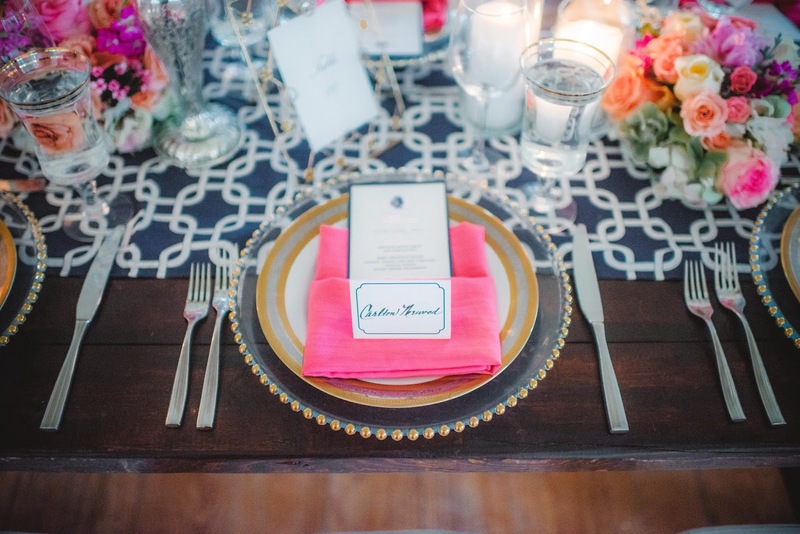 So grab your sweet tea, and check out this Charleston wedding with lots of Southern charm!! 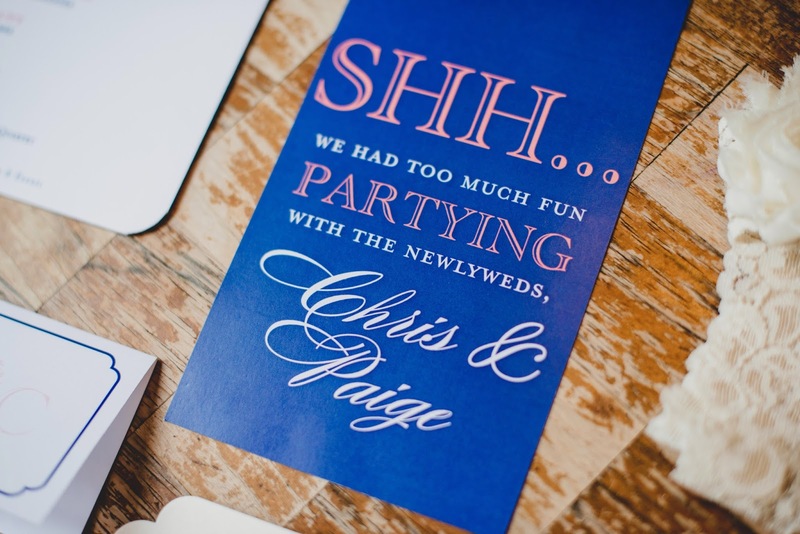 Paige and Chris' wedding invitations were printed in traditional navy letterpress on a thick, white paper with scalloped edges. 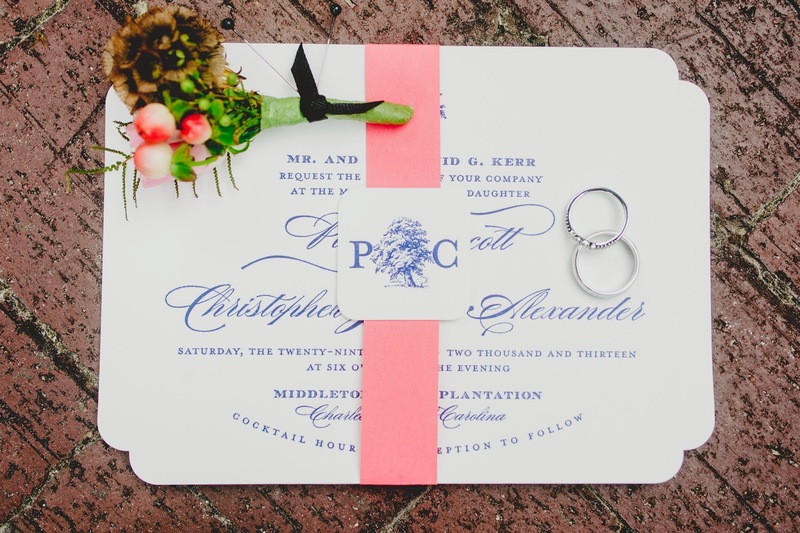 The beautiful ensemble was held together with a coral bellyband, and was finished with their wedding monogram. 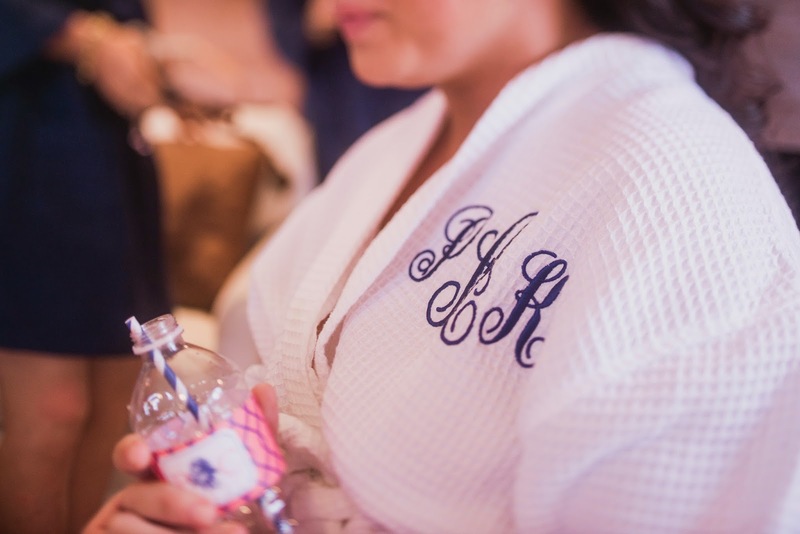 We love that they were classic, with a fun twist that highlighted their beautiful monogram. 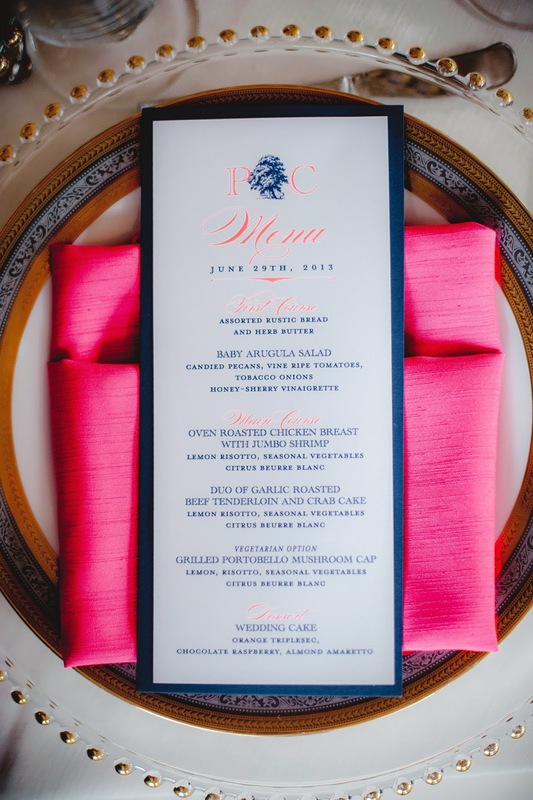 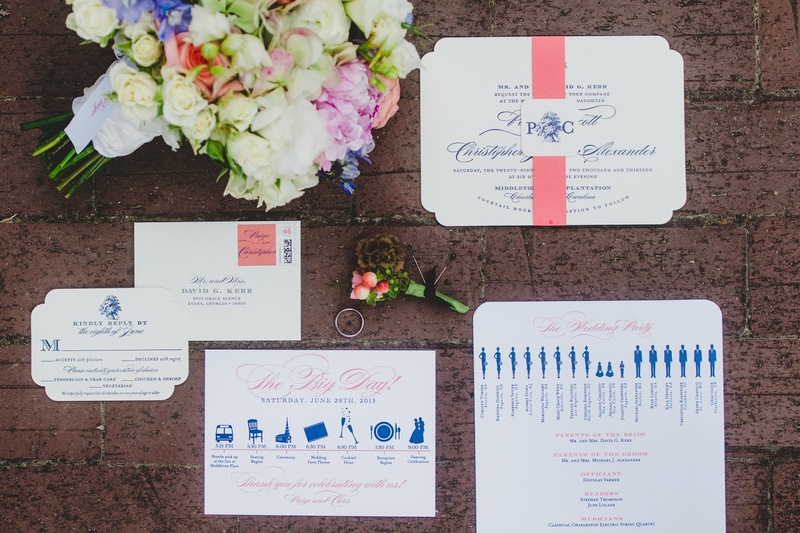 Coral and navy "day-of" itinerary for the bridal party. 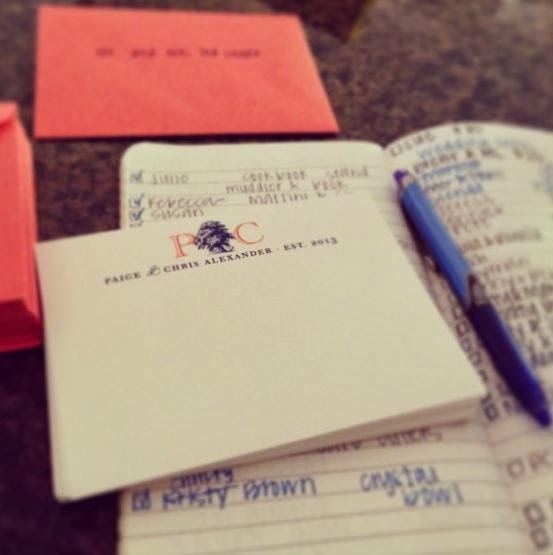 So helpful (and adorable)! 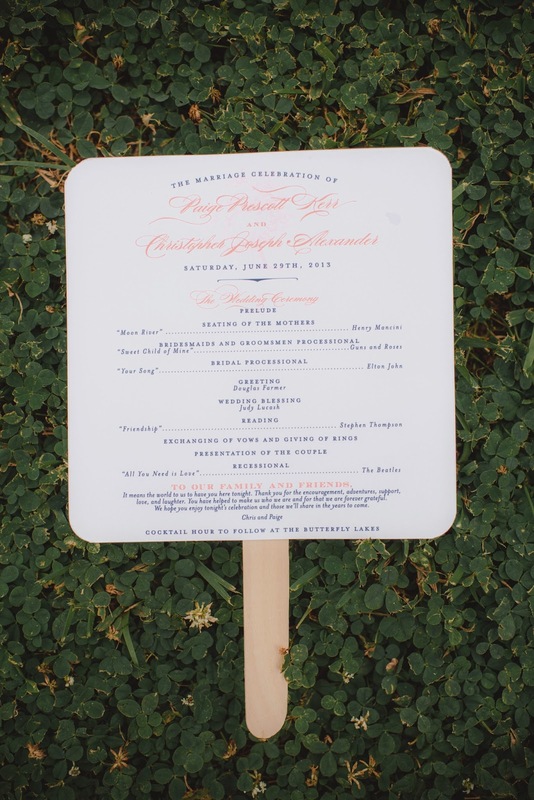 No Southern wedding held in the summer should be without a ceremony program that also doubles as a fan!! 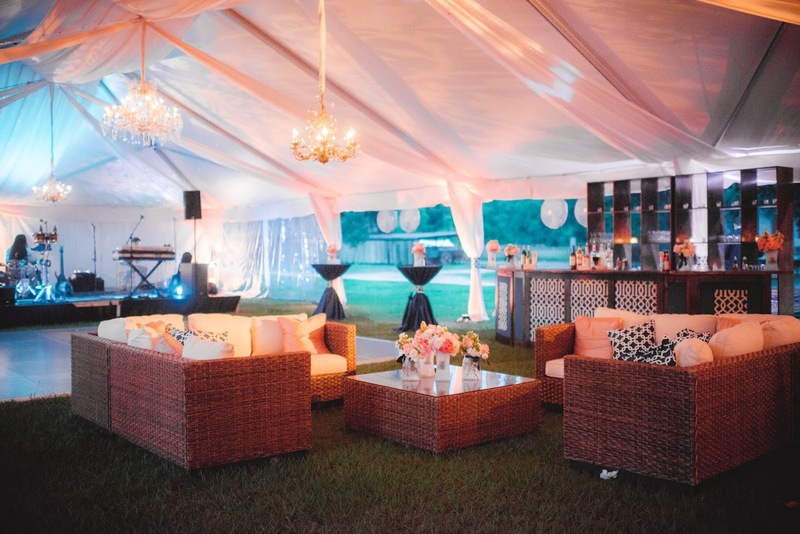 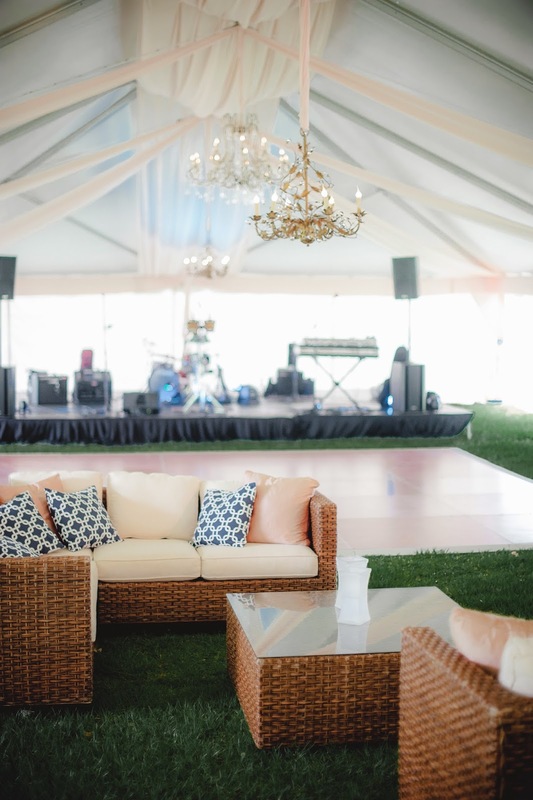 The perfect combination of sweet Southern touches and preppy chic, are we right?! 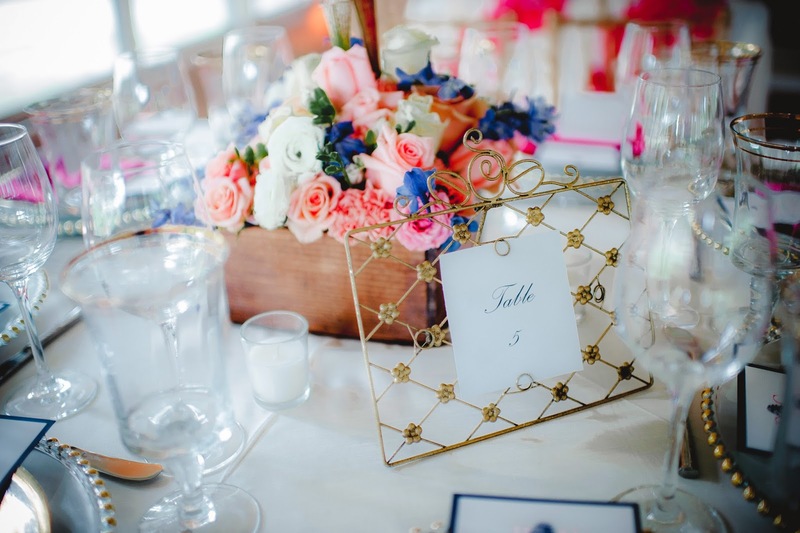 After the wedding, the bride, Paige, arranged all of her wedding swag in a frame above her desk! 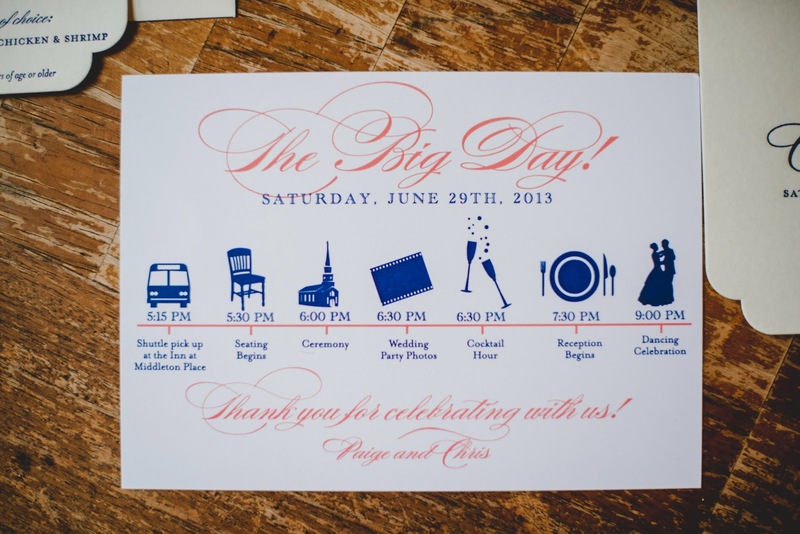 Such a great keepsake, see the finished product below!! 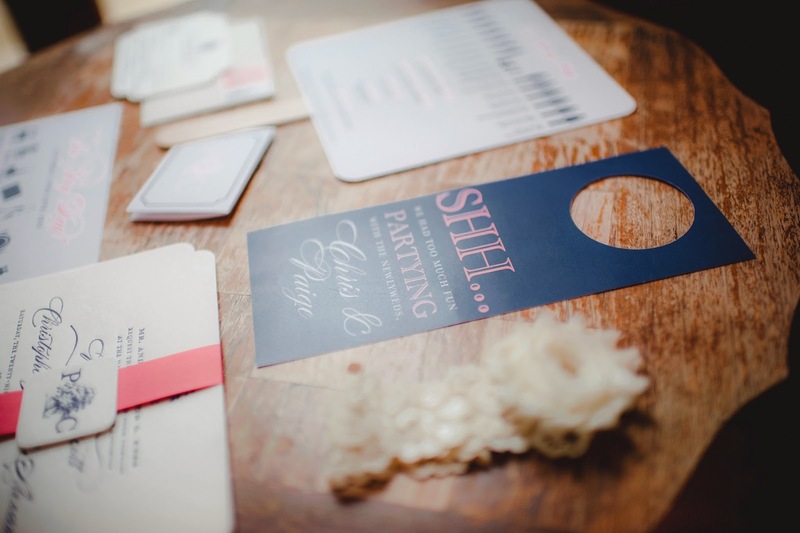 Last but not least...coordinating stationery for the bride and groom. 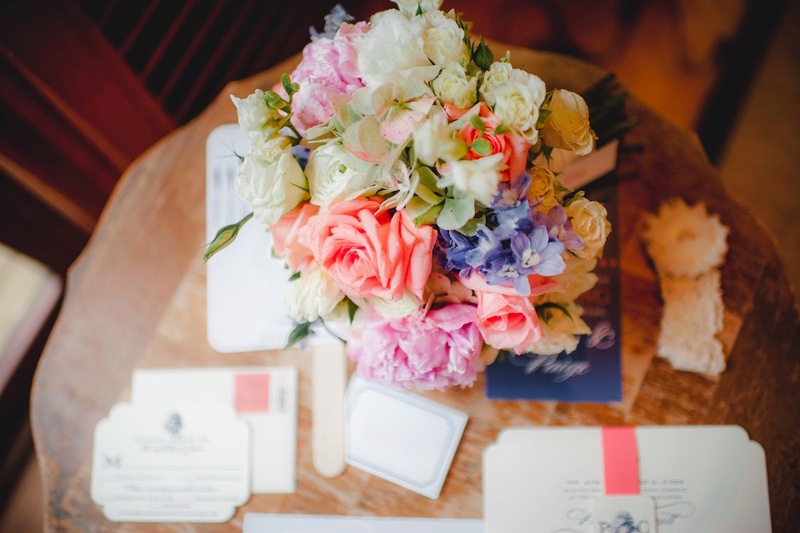 Perfect for thank you notes! 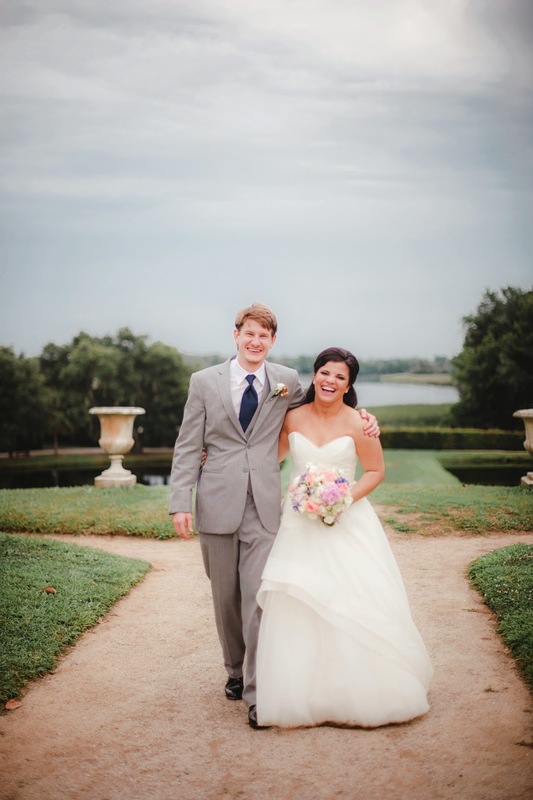 From beginning to end--we had SO much fun with Paige and Chris!!! 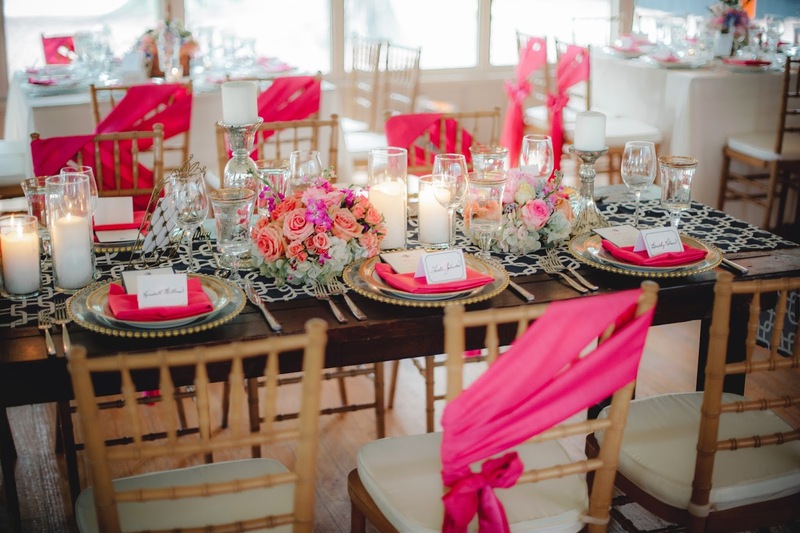 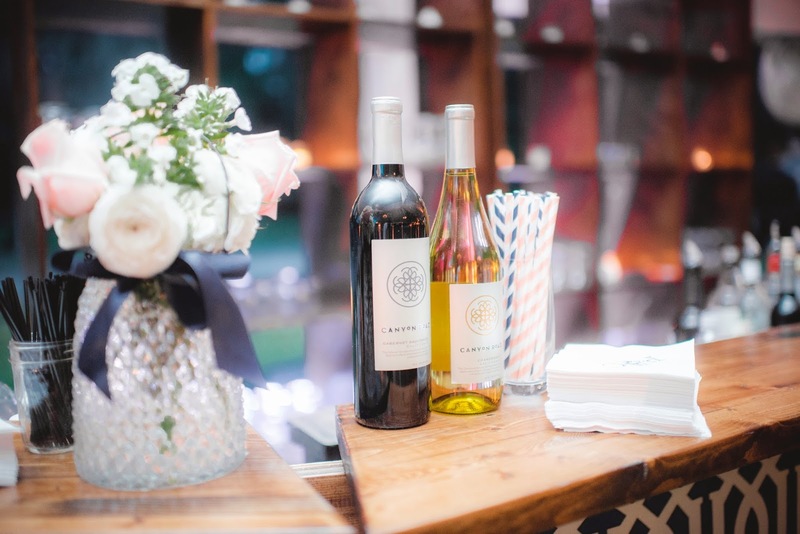 Thanks to wedding designer Chelsye Harp at Intrigue Design and Events, the wedding design and decor came together beautifully! 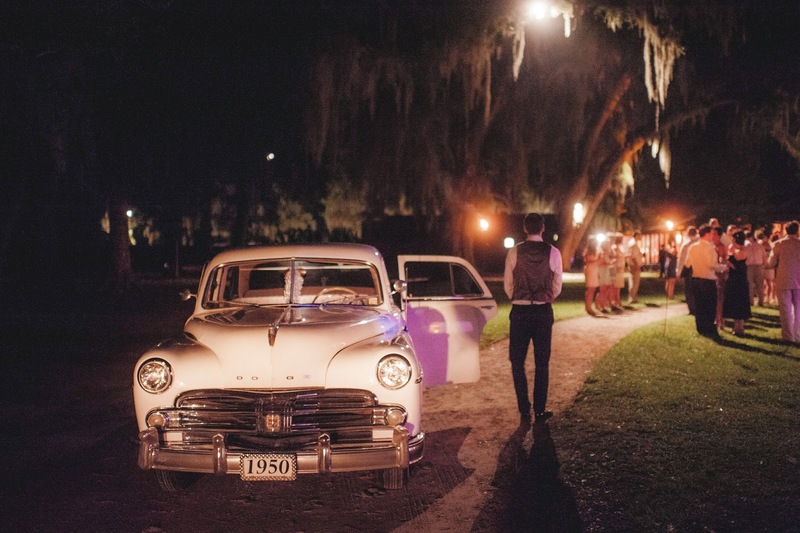 We love all of the Southern charm from this Charleston wedding! 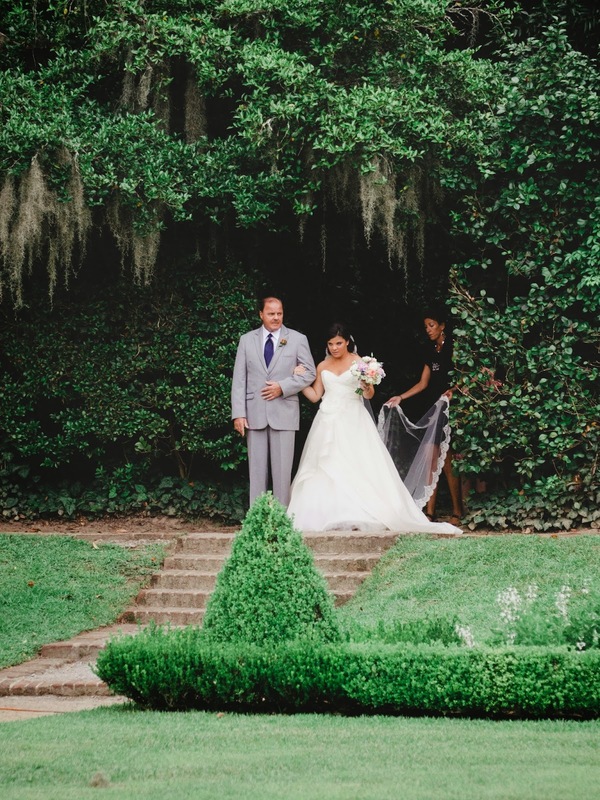 To see more of Paige and Chris' charming Southern wedding, be sure to visit their wedding gallery on our website! 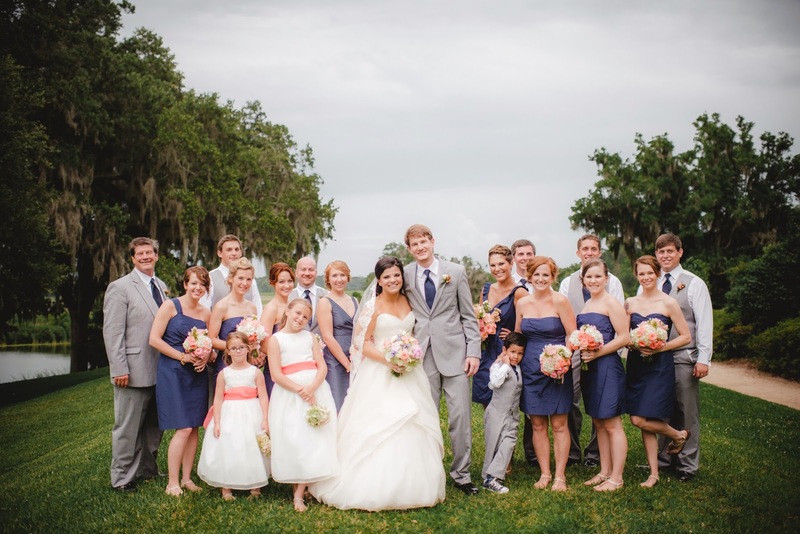 Photography: Tim Willoughby of TimWill Photography in Charleston, SC.